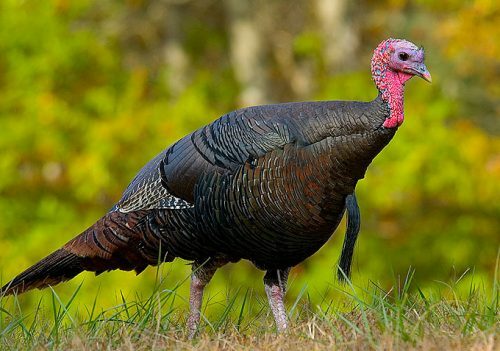 Why do we eat turkey during the festive season? The history behind this tradition is short and mundane, and that’s exactly why I think we should give this bird the flick. The Christmas turkey tradition can be traced back to Henry VIII, who decided to make the bird a staple for the festive day. After the British Empire discovered the New World (that’s the Americas) an influx of gobble-gobbles hit Britain. Coupled with Edward VII making the turkey a fashion statement at Christmas, and Queen Victoria reopening trade with the USA, turkeys became the in-thing. Thanks to Australia’s ties with the crown it was inevitable we would adopt the same tradition. But news flash, we don’t have to listen to Queen Liz and her monarchical counterparts anymore, and with no real significance as to why we eat turkey every Christmas one could propose that we give it the toss. Give turkey the toss and put Huon Salmon on the menu this Christmas. It’s time to mix up your lunch or dinner offerings and put Huon Salmon on the table this Christmas. The beauty of salmon? Not only is it delicious but it’s a diverse protein that can be eaten for breakfast, lunch or dinner. In the rare chance there’s Christmas leftovers, use your salmon for brekkie burritos or alongside scrambled eggs. Why not chuck your salmon in the sandwich press and make a toastie? Once seen as a luxury item, salmon is now becoming increasingly affordable. At $3.70 per 100g you’re hardly breaking the bank. Buy in bulk and you can freeze salmon for up to three months. Harvested at night we get our fish to market as fresh as possible. Have Huon Salmon delivered straight to your door (yes, you read that correctly) and skip playing hunter and gatherer this silly season. 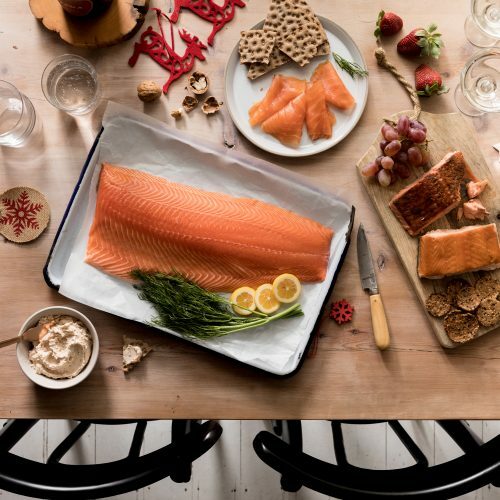 Give turkey the chop and make Huon Salmon your Christmas feast staple.